Management, Social Compliance, Project Management, CSR, Financial Compliance, etc. 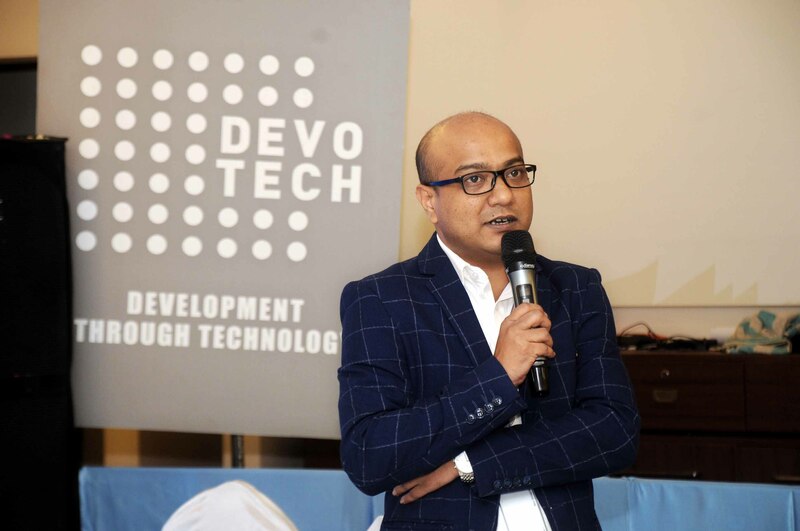 The main goal of his profession is to contribute to bringing sustainability in RMG sector of Bangladesh by minimizing different risk factors like workers’ risk, environmental hazards, factory structures, etc. Mr. Khan has also been working with Systain Consulting GmbH, Germany; Cotton Made In Africa (CmiA), Germany and DevoTech Technology, Bangladesh as Consultant. 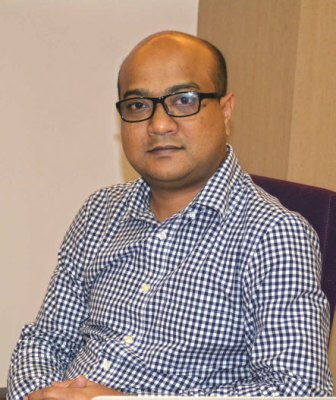 In an interview with The Apparel News, Mahbub Khan told that every development should be sustained and to achieve sustainable growth for our RMG industry, we need proper acknowledgement of all possible activities. Executive Editor of The Apparel News Ibrahim Khalil Jewel has taken the interview last week, which has been presented here for the readers. The Apparel News: Please tell something about your working area. Do you enjoy your work? Why? Tell us briefly. 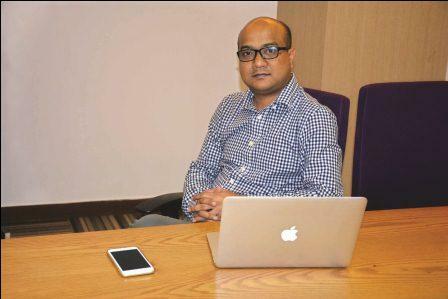 Mahbub Khan: Professionally I’m a management consultant. Since last 10 years, I’m working with sustainable development at RMG sectors in Asia aligned with Europe, especially with Germany. I enjoy a lot in this field as I believe developments should be sustained, otherwise it will be useless for invest of time, money and efforts. I felt that all the stakeholders of this sector are keen to development but due to ‘unintentional mismanagement, lack of effective utilization of manpower and using of latest technology’ initiatives do not sustain. So we need to synchronize all those areas to development. The Apparel News: We know that you are a Management Consultant in apparel sector working with both local and foreign experts. You have visited many countries for the interest of your profession and gathered much knowledge. How do you see the prospect of Bangladesh’s apparel industry in next 10 years? Mahbub Khan: Yes, of course. We shouldn’t forget that we have almost 40+ years of experience in the apparel industry. So now we can call us an expert. Prospect is extremely high for Bangladesh and it’s not only for next 10 years, it should be more. Now RMG factories are being managed by the 3rd generation owners or managers who are more educated, smart and efficient. The Apparel News: You have also been working for Social Compliance, Chemical Management, CSR projects, Financial Auditing in home and abroad. How can you serve the RMG and textile industry of Bangladesh with your expertise, experience and knowledge? Mahbub Khan: All of these are management issues to guide and implement. So first of all you need to know the proper management which is mostly same to all of the organizations. Compliance, Audit, Management etc. all are aligned with more or less same rules and regulation; very tiny differences there are in country to country and this actually differ mainly for the location and culture. To achieve sustainable growth for our RMG sector, we need proper acknowledgement of all possible activities. The Apparel News: Nowadays, Sustainability is a big issue in industrial sector. How can Bangladeshi RMG & Textile sector be sustainable by minimizing the workers’ and environmental risk factors? What’s your suggestion? Mahbub Khan: Sustainability is not a big option, I will say it is the key option to sustain any business. For RMG and Textile sector in Bangladesh, already we have put huge investments as well as involved the huge number of manpower. So we have to minimize our environmental risk by any cost – no other alternative. To minimize environmental risk, our factories should keep good working conditioned place and then make the workers aware of the environmental impact of their daily works. Every year needs to conduct an environmental audit or at least self-assessment for minimizing the risk factors on RMG & Textile sector. The Apparel News: Bangladesh has set a target of exporting RMG products worth $50 billion in 2021. Last year it achieved $28 billion. Do you think that in the remaining 3.5 years it would be possible to reach the target? Mahbub Khan: To me it’s tough, but not impossible. As I said earlier that we are Expert now, we just need to synchronize with all the relevant areas. The best possible way is to implement our active recourses to focus on the ultimate target. The Apparel News: Being the 2nd largest sourcing destination of readymade garments in the world, Bangladesh has mainly limited its function at cutting and sewing. Design, innovation, fashion trends didn’t get too much emphasis. There were scopes to develop in this field. As a Consultant of this sector what’s your opinion? Mahbub Khan: We are doing cutting and sewing since last 40-45 years and now we are the expert on this area. But it is not true that we didn’t focus on design and innovation for fashion. We have couple of universities with Fashion design department/faculty. From these universities, we are getting very upright and talented professionals and I believe they will give their extraordinary and exceptional output soon. Right now, we shouldn’t compare them to our 40-45 years cutting-sewing work experience. To get the positive result from our own innovative fashion design we need to wait a bit and taking optimistic care. The Apparel News: Why Bangladesh couldn’t develop such an international-standard brand like H&M, Tesco, Marks & Spencer, Zara? Where is the impediment? Mahbub Khan: Agreed, but we are trying. Some of the local brand already trying and doing business to enter the world market with own brand and design. We need to know other major garments-consuming countries’ choice, test and design. I personally believe, we will do but will take a little bit time. The Apparel News: Now you are representing the ‘Cotton Made In Africa (CmiA)’ in Bangladesh and giving services as a Consultant of world’s most reputed consulting firm named ‘Systain’. What’s your next plan to make Systain & CmiA popular in Bangladesh? Mahbub Khan: They both are already popular worldwide and as we Bangladeshi are working with foreign countries for our RMG, so Systain and CmiA both are well known in Bangladesh. 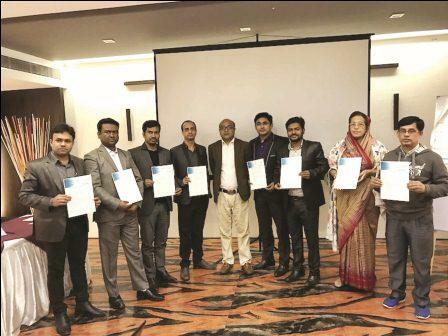 As I know from my earlier training from Systain that they have very nice and effective ‘Academy Training Program’ and they conduct training, workshop and seminar at the factories and organizations. So I believe Systain is already popular here. I may do my work according to their standard. Regarding CmiA, it’s a foundation by Otto Group to help African cotton farmers but their cotton has good quality and good demand in the market. CmiA has the noble target for African cotton farmers as well as they are running many social projects on these sub-Saharan African countries to provide them little better life. They deserve it as they are contributing environmental friendly cotton farming/production to keep our natural ecosystem sound. The Apparel News: Finally, what’s your message to the industry people of Bangladesh? Mahbub Khan: Our industry people are doing hard work for the sustainable growth of our Textile industry. To the industry people I’d like to say – You are the main Heroes of Bangladesh. Do your work and trust that we will be the number one momentarily! The Apparel News: Thanks for the interview. Mahbub Khan: Many thanks to The Apparel News and all of its valued readers. Management, CSR, ISO (EMS management system) Audit, Accounting. :: Business analysis techniques, thus capable of generating robust solutions and handling organizational change management processes. • SPECIALIZED on Detox/ZDHC chemical management. Conduct pilot project of different European brands. • Conduct several Workshop/Training on Detox and Social compliance in Bangladesh, India, Pakistan, China and Germany. • Successfully worked with many international organizations and produced solid results with all of them in different assignments in terms of EHS Management System, Chemical management on Detox and ZDHC. • Extensively experienced in Social Compliance Audits, CSR projects, financial auditing, project management, business analysis. • Lead an international company from its infancy through its total structuring including all types of government permits, accounts and technology setup, HR and payroll setup, logistic and facilities structuring and consultancy services. Working Area: Bangladesh, India, Pakistan, China, Germany.